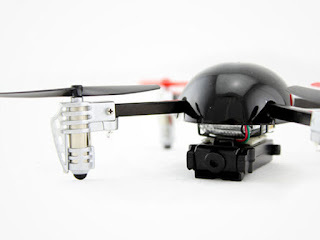 Meet the only micro HD-camera drone in the world that can fly upside down. The Micro Drone 2.0+ is truly in a league of its own, offering a new perspective on aerial photography, and a world of technological capabilities that make flying ridiculously fun. Simply throw it in the air at any angle and its self-correcting algorithm will stabilize for smooth sailing in no time. You'll stay entertained with flips, rolls, 720p HD videography, and much more.